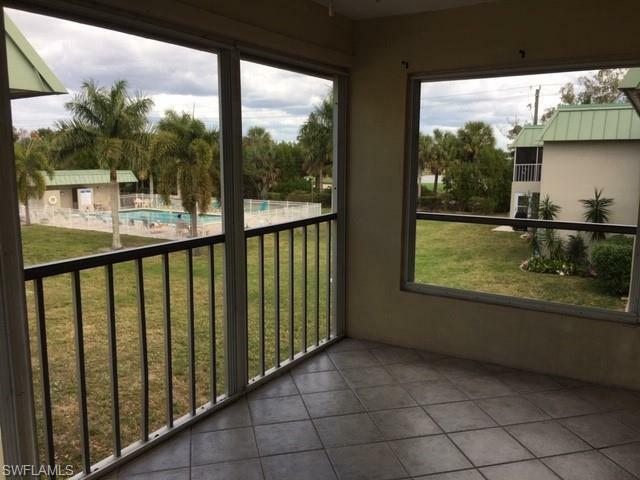 6731 Winkler Rd #205, Fort Myers, FL.| MLS# 218082813 | Southwest Florida Residential Real Estate for Sale. Great price for this fantastic location to the beach, shopping, golf, hospital & all that SW Florida has to offer. Two bedroom, two bathroom condo with private laundry in the condo. Chateau Le Beau backs up to the golf course, view from the lanai. Affordable association dues include trash, water and sewer are only $276.66 per month. Pay only for electric and cable. Building 6731 was the last building built in 1980 tax records show 1970. Sellers family purchased form the builder in 1981, original owner. This spacious condo is ready for immediate occupancy . Split bedroom plan. Spacious master bedroom with walk-in closet. Eat-in-kitchen, living-dining combination. POOL/courtyard view from screened lanai. There's also a common laundry just around the corner and extra storage. Roof has been replaced on building. PET FRIENDLY: 2 cats or 1 dog Max. 15pds. max.